"I thought Toastmasters was just for people like my Grandpa" said 20 year old Jay from Melbourne, who was visiting our club recently, from Melbourne with his Grandfather, Ian Garvie. Ian, a long-time member of Toastmasters, as well as Lions is in his mid 70's. Jay was pleasantly Surprised to see many younger members - (a lot younger in fact! ), and especially to see young Hannah, our current membership officer who was Toastmaster or MC for the meeting that day. Jay was also surprised to see how structured the meetings are. This didn't stop him enjoying it and he did a terrific job participating in the introduction of members as well as the table topics (Impromptu speaking) sections of the meeting. Ian tells me, Jay was so impressed, that he plans to source a TM club in Melbourne, if it fits in with his studies! Please Note: All guests are given the option whether to participate or not. Also, Many universities and colleges have on Campus Toastmasters clubs, such as 'Griffith Guild TM club' at Griffith University, Gold Coast campus. I am not sure where this myth came from, but Toastmasters is not just a secret society for the older generation learning to Master the art of making Toast!! It is for anyone 18 years and over, who is interested in public speaking and improving their communication and leadership skills. It is probably one of the cheapest forms of personal growth and development educational courses you will ever do. For approximately AU$5.50 per week – not much more than a mug of coffee! 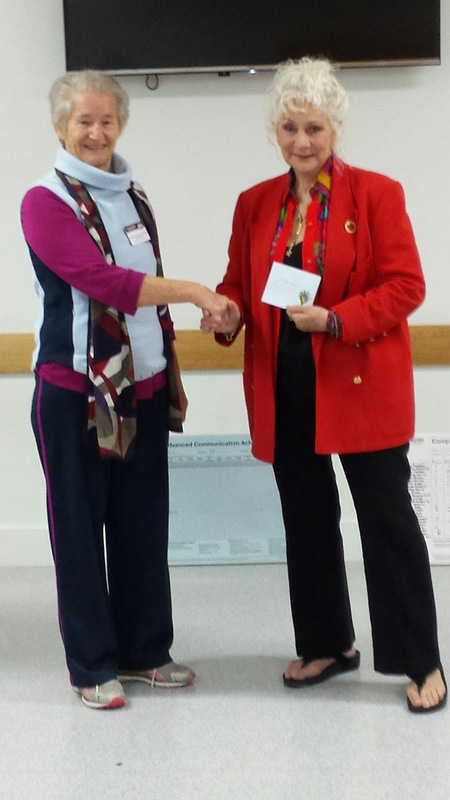 Toastmasters members come from all walks of life – whether you have a speech coming up for an upcoming wedding or special occasion, or you are required to give presentations as part of your work or college, or you just want to overcome anxiety or fear of speaking in front of a group. Many people join to improve their communication skills but the leadership skills and opportunities are often one of the reasons members continue with the organisations for many years. The fact that the meetings are fun and great way to start the day certainly helps! That's the reason I like coming every week. Why not come along to experience TM for yourself. 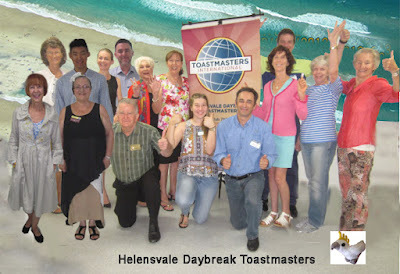 Visitors are always welcome to our Helensvale Daybreak Toastmasters Club weekly meetings. Or if the 6.45am time slot on Wednesday Morning is not for you, there are numerous other clubs to choose from that meet at different times (evenings or lunch time.) Visit the TM international website (see links on this website) for further info and to find a club near you.